The Argonne Leadership Computing Facility (ALCF), a U.S. Department of Energy (DOE) Office of Science User Facility, has selected 10 data science and machine learning projects for its Aurora Early Science Program (ESP). Set to be the nation’s first exascale system upon its expected 2021 arrival, Aurora will be capable of performing a quintillion calculations per second. The Aurora ESP, which commenced with 10 simulation-based projects in 2017,  is designed to prepare key applications, libraries, and infrastructure for the architecture and scale of the exascale supercomputer. 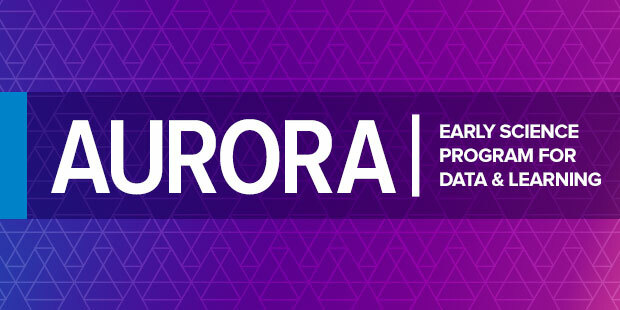 The Aurora Early Science Program is designed to help prepare key applications, libraries, and infrastructure for the architecture and scale of the ALCF's future exascale supercomputer.